Nicholas: "This Arsenal transfer philosophy is an absolute joke. 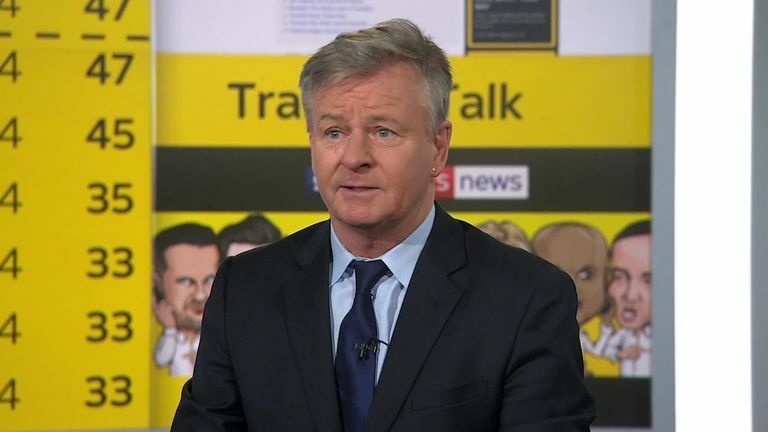 It really is a joke and has been ever since David Dein left the building"
Speaking on Sky Sports News, Charlie Nicholas criticised Arsenal's transfer philosophy and urged them to strengthen defensively. The Gunners have already made one signing on Deadline Day, bringing in Denis Suarez on loan from Barcelona until the end of season. However, speaking on Sky Sports News, Nicholas had some strong words for his former club, urging them to sign a defender. "I'm happy with anybody now to be honest because this Arsenal transfer philosophy is an absolute joke", he told Sky Sports News. "It really is a joke and has been ever since David Dein left the building. "We're the ninth richest club and we can only get loan deals. I don't care if the manager likes this player or not, please Arsenal, get some defenders in!" Follow all the latest from Deadline Day in our comprehensive Transfer Centre LIVE! blog right HERE!